WASHINGTON, DC – February 7, 2019: Special Olympics is launching “Cheers for Champions,” a social media campaign to engage the public to cheer-on Special Olympics athletes as they prepare to participate in the 2019 Special Olympics World Games taking place in Abu Dhabi, United Arab Emirates from March 14 through 21. Special Olympics’ flagship event, World Games will welcome more than 7,000 Special Olympics athletes from more than 190 countries. “‘Cheers for Champions’ is a great way to express your support for all Special Olympics athletes as they prepare for World Games 2019, the largest sports and social inclusion event on the planet — advancing a world of full inclusion for people with intellectual disabilities (ID), in sports, in education, health and leadership,” said Mary Davis, CEO of Special Olympics. “Cheers for Champions” works like this: Each Thursday in the run-up to World Games, Special Olympics will release on its social media channels (@SpecialOlympics) a “Champion Minute” featuring a Special Olympics athlete from one of our seven regions around the globe. Simply share the video with your friends on social media to support, encourage and cheer-on a Special Olympics champion. Use the hashtag #Cheers4Champions and follow @SpecialOlympics to stay updated each week and follow these amazing athletes throughout World Games to continue cheering them on. The campaign’s first champion to cheer is Special Olympics athlete Brittany Tagliareni, a tennis player from Sanford, Florida, USA. Next to be featured will be athletes from Senegal (athletics); Great Britain (powerlifting); Bharat/India (cycling); China (artistic gymnastics); Venezuela (swimming); and the United Arab Emirates (bowling). Cheers for Champions is being launched in Special Olympics’ 50th anniversary year. As part of the celebration, the organization is challenging people across the globe to join its “Revolution is Inclusion” campaign—an all-out effort to end discrimination against people with intellectual disabilities. Led by Special Olympics athletes, the organization launched the campaign because despite progress, exclusion is still real for millions of people with intellectual disabilities in every aspect of their lives. The good news is: when the world chooses to include, #choosetoinclude, everything changes in a positive way for everyone. The public can show their support by taking the Inclusion Pledge at JoinTheRevolution.org. 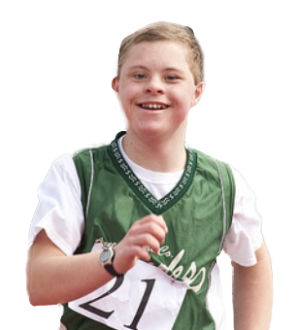 Special Olympics World Games is the largest sports and social inclusion event on the planet, and inspires, promotes and advances a world of full inclusion for people with intellectual disabilities. Taking place every two years and alternating between Summer and Winter Games, World Games are broadcast globally in more than 150 countries attracting more than 2,500 journalists.